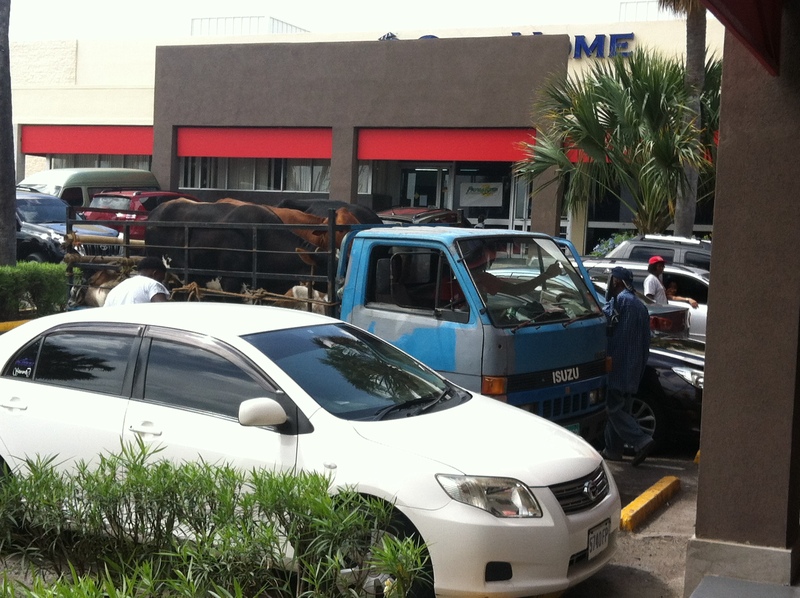 The other day I was at a mall in uptown Kingston and my friend pointed to something. I looked and just saw a parking lot full of cars. Then, I realized what she was talking about as I focused on this one truck, full of cows and goats (the goats are crammed up behind the cows’ backsides, poor things)! It seems the drivers had stopped at the bank to do some business. The cows and goats seemed content, as did the small crowd that had gathered around to take pictures.